The US Air Force has awarded Northrop Grumman Corporation a $59 million contract for the engineering and manufacturing development (EMD) phase of the Embedded Global Positioning System (GPS) /Inertial Navigation System (INS)-Modernization, or EGI-M, technology. The approval to proceed to the EMD phase follows the Department of Defense's Milestone B approval in October 2018. During the EMD phase, Northrop Grumman will develop the critical hardware and software design for the EGI-M, build hardware for integration and qualification, generate safety and civil certification documentation, qualify the new EGI-M systems to rigorous military standards, and build production units for platform testing. "This EMD award brings us an important step closer to fielding a modernized navigation system that provides accurate positioning, navigation and timing (PNT) information, even when GPS is denied," said Dean Ebert, vice president, navigation and positioning systems, Northrop Grumman. 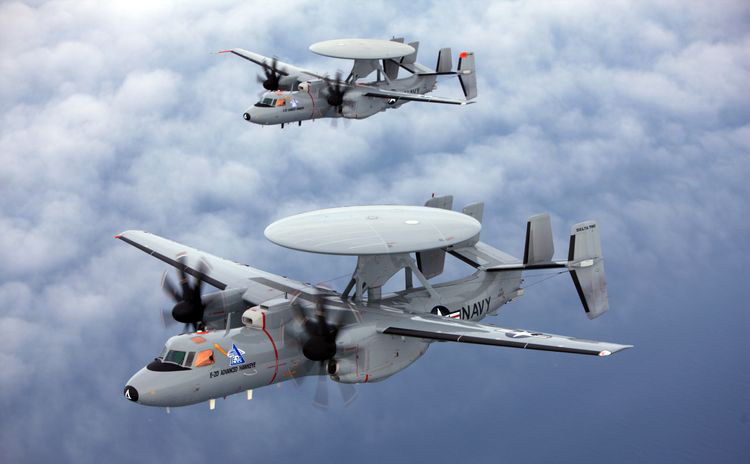 "Northrop Grumman is dedicated to ensuring the safety and mission success of our warfighters by providing a resilient assured PNT solution that will allow service members to fly, fight and win in any environment." EGI-M technology is designed for compatibility with current systems on legacy aircraft, allowing ease of integration and rapid adoption of new capabilities. EGI-M will also comply with the Federal Aviation Administration's NextGen air traffic control requirements that aircraft flying at higher altitudes be equipped with Automatic Dependent Surveillance-Broadcast (ADS-B) Out by January 2020. ADS-B Out transmits information about an aircraft's altitude, speed and location to ground stations and to other equipped aircraft in the vicinity.